Apartment with air conditioning a nice terrace and a divided barbecue and pool. A tranquil and relaxing spot which also serves as a strategic location for visiting the whole of Tuscany. It is far removed from the hustle and bustle of daily life but not from the unique beauty of one of the worlds most beautiful places. This Agriturismo is located in the gentle rolling hills between Vinci and Cerreto Guidi, just a stone's throw from the birth place of the genius Leonardo; who grew up in the area. This countryside residence boasts all the amenities of a luxury hotel, with 7 tastefully decorated apartments, surrounded by vineyards and olive groves; where the family produces Chianti D.O.C. wine and extra virgin olive oil, which are enjoyed by the most sophisticated of connoisseurs. 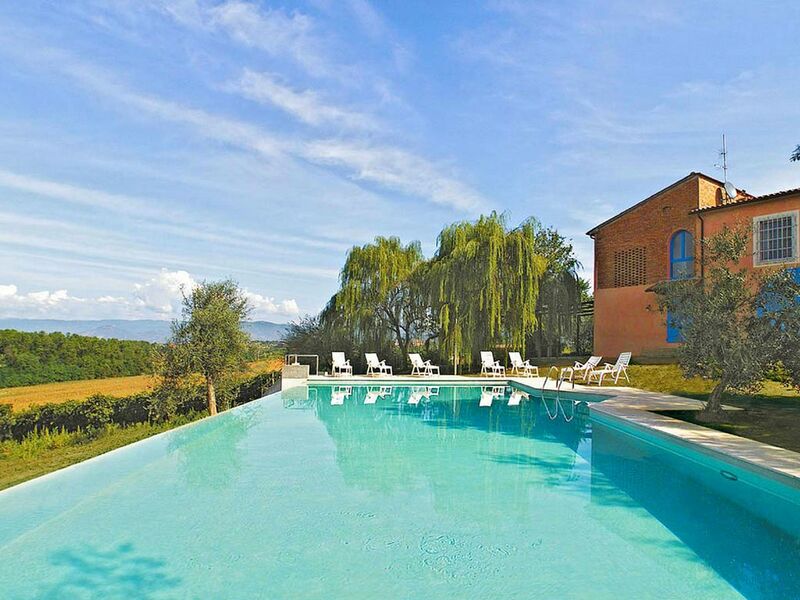 After a woodland walk, enjoy a relaxing stroll among the vineyards and other plantations, take in the breath-taking views over the Tuscan hills, then go for a dip in the pool which is placed at guests' disposal. The pleasant and delicate sounds of nature will inspire you to savour this relaxing countryside getaway, far from the distant sounds of the city, breathing clean, fresh air. The property is located close to Vinci, a charming town, famous above all thanks to Leonardo da Vinci and his boundless genius. In Vinci, Leonardo is omnipresent: the house where he was born, a museum dedicated to him, the church where he was christened and the museum institutes which carry out research and transmit Leonardo's cultural heritage.